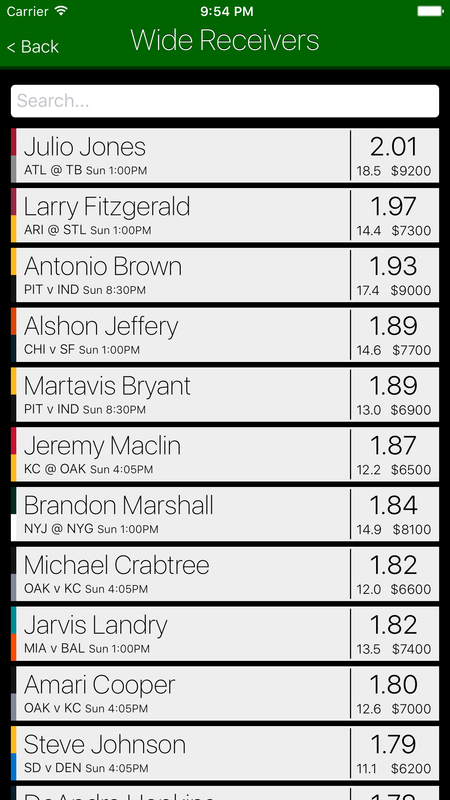 Average aggregate player projections for fantasy points from the best sports analysts. Detailed player injury reports and news notifcations. Large data analytics for player model to create best lineup. 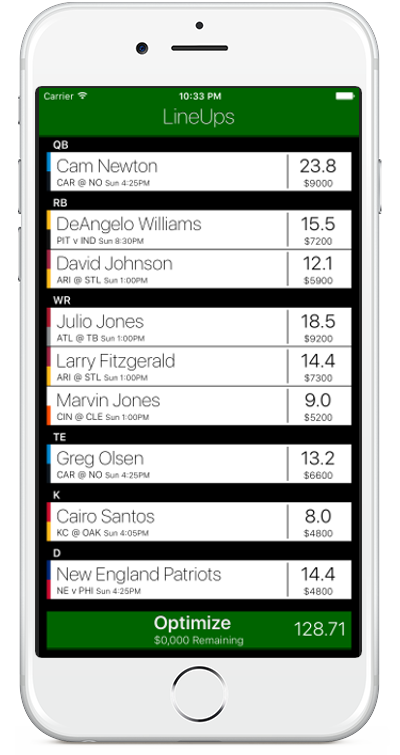 Aggregate all the best analyst projections and select players to include or exclude from lineup construction. Then with the optimize button get the best lineup. Get the best daily lineup and win.